If you have successfully turned bowls from a solid wood blank and are looking to try a more advanced technique, consider segmenting. 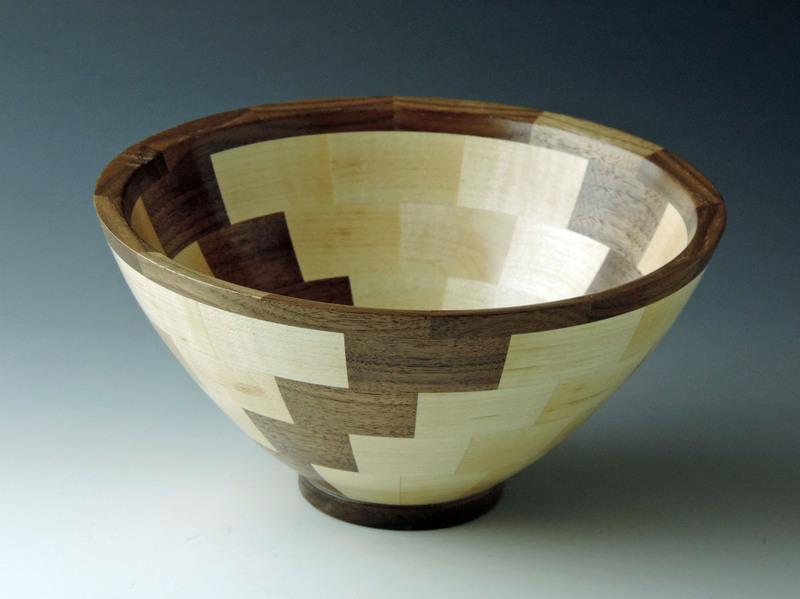 This class will cover the entire process for designing, building, and turning a segmented bowl. The class will begin with a discussion on the design process and basic math that is needed to layout a project. You will then learn about the jigs that are used to accurately cut segments and learn how you can easily build your own. By the end of the class, you will complete a segmented bowl and gain the knowledge required to turn the next one on your own. As time permits, a few advanced techniques will also be introduced. 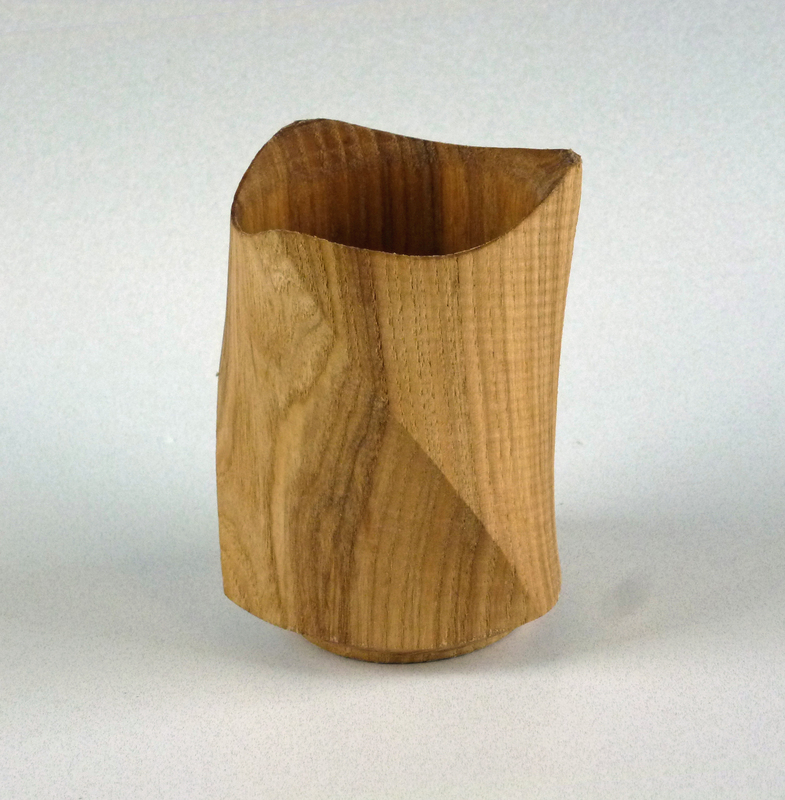 Completion of wood turning 122 or equivalent understanding of bowl turning is required. Completion of woodworking 103 or equivalent knowledge of use of power tools including a table saw. 9 AM to 5 PM with a one-hour break for lunch. 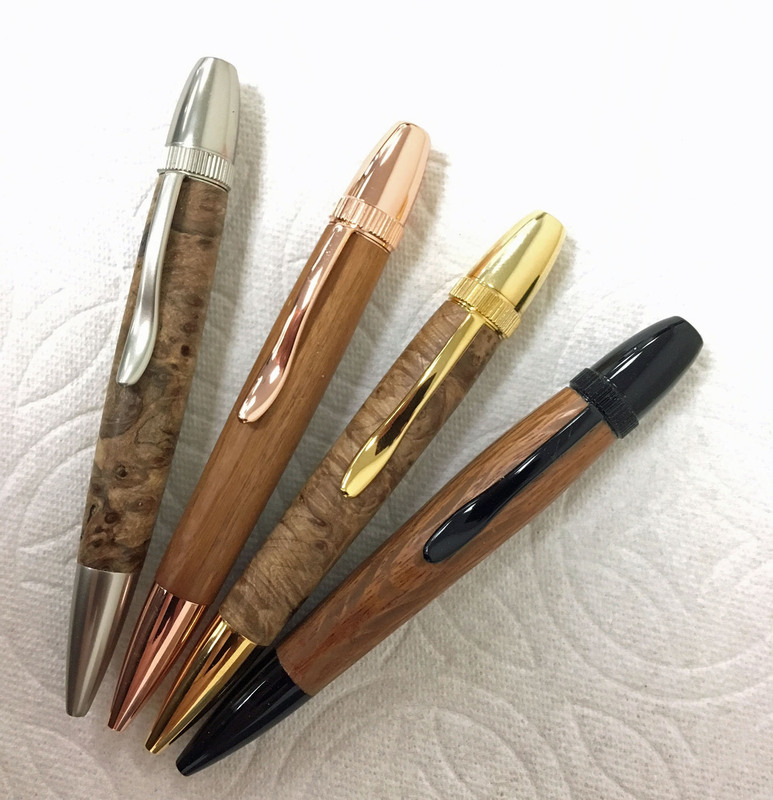 Students will learn what materials and equipment is required to begin turning pens and mandrel projects on their own, what to look for in a project kit, how to prepare the wood for turning, basic turning skills, finishing the wood and assembling the finished project. Tools and materials provided. Two pens and one key chain pill box project will be completed. Essentials of safety will be emphasized. 9 AM to 4 PM with a one-hour break for lunch. Turning with a twist, using the magic of multi-axis turning to create seemingly impossible to turn shapes. This is lathe work on a whole new level. We’ll make boxes and goblets, napkin rings, tea-light, and ???. Students will expand their turning skill set to include multi-axis turning. Skills include safely holding work with multi-axis, visualizing the end result, turning with interrupted cuts. The possibilities are endless. Essentials of safety will be emphasized. Prerequisite: Beginning Turning or equivalent.